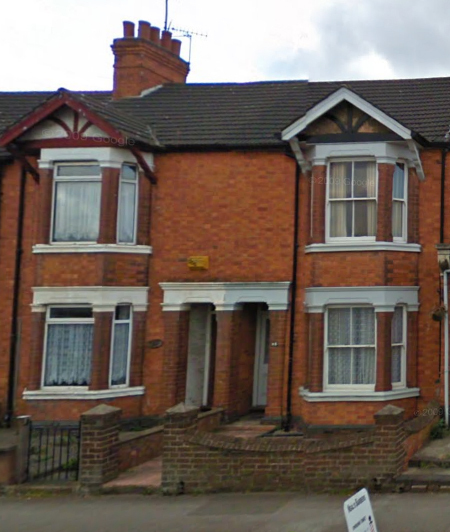 In the 1891 Census, and again in the 1901 Census, three cottages appear in this part of town. 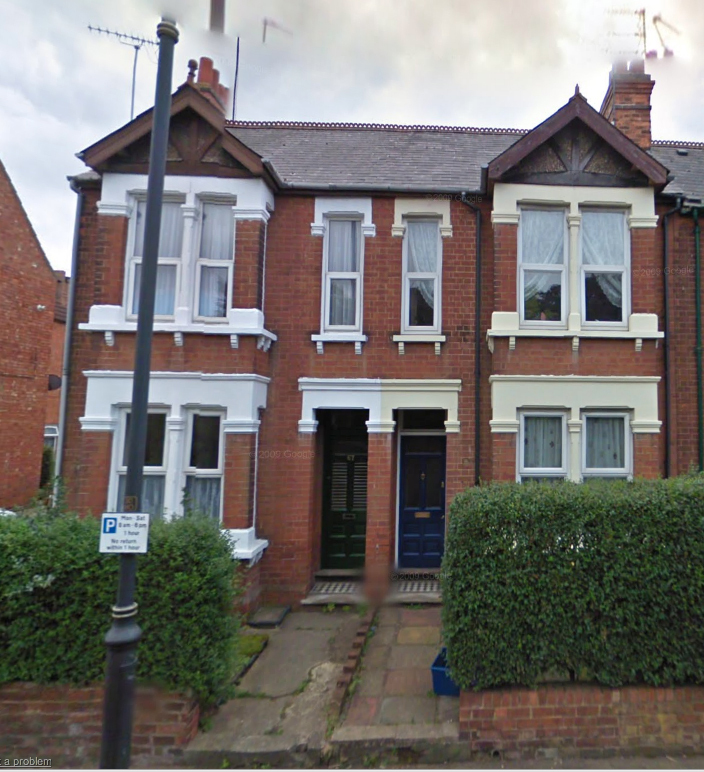 They are recorded as May Cottages – numbers 1, 2 and 3. 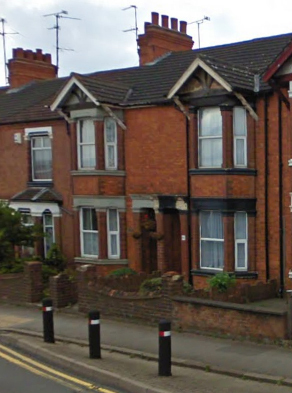 Their placement in the census would suggest that they are in the vicinity of Radcliffe Street. I had never heard of May Cottages before but it seems to me that these might be likely candidates. They are out of keeping with the Green Lane houses on the other side and just fill in a little triangle of land behind Aylesbury Street and Radcliffe Street. There were actually three cottages there 50 years ago and it looks as if the garage and the room above it is a later addition. I dimly recall a builders yard here at one time. Later they were numbered as Green Lane and I suppose the May Cottages name was dropped. Why they were called May Cottages in the first place is another mystery. Author Bryan DunleavyPosted on 30th August 2011 Categories Green LaneLeave a comment on Are these May Cottages? Here’s a bit of memorabilia. 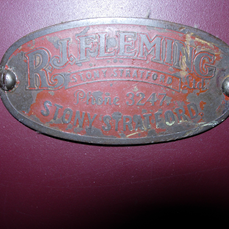 This R J Fleming badge has been kindly sent to me by Nicholas Platt. 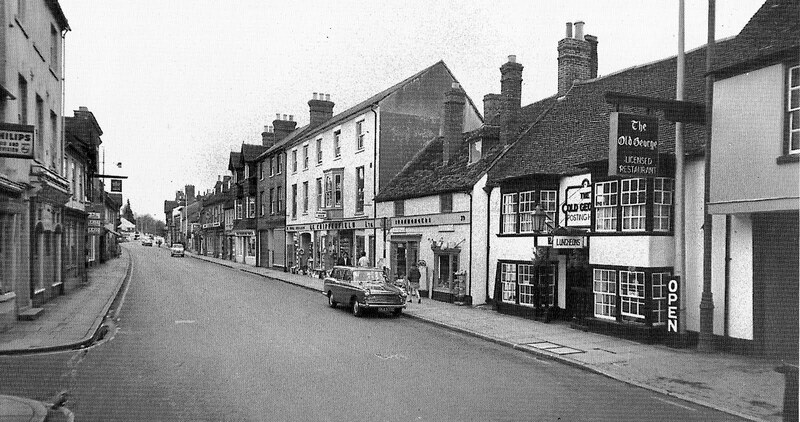 Bob Fleming, who was a generation before me, established his business on Stony Stratford High Street, probably about 1930. 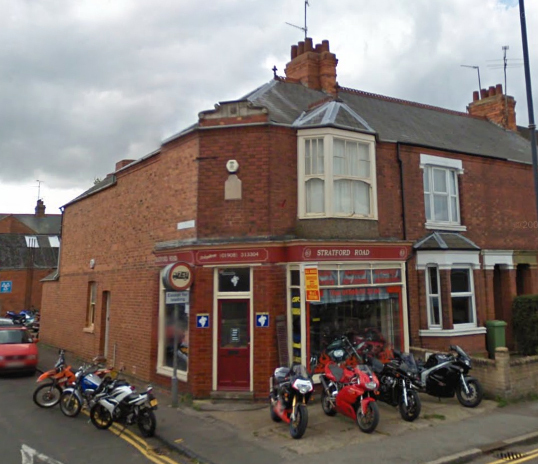 In the 1950s and 60s this was the place to go if you wanted a motorbike or to get it serviced. I bought a BSA Bantam from him in the 1960s. What I find astonishing about this photo (probably taken in the early 1960s) is how few cars there are in the picture. 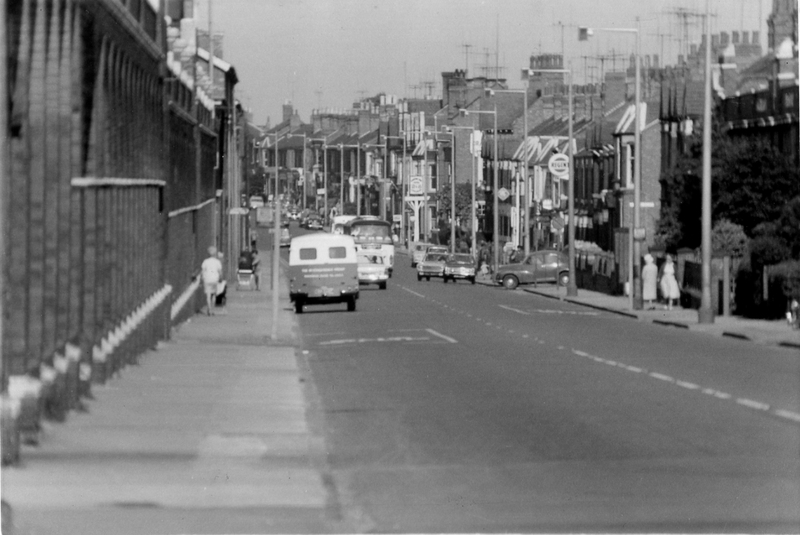 This shot was taken before there was a bypass and when the A5 was a major arterial road. Some traffic would have been absorbed by the M1, but even so…. It goes without saying that 19th century Wolverton did not have to consider the motor car, and it was only about 1930 that anyone began to pay attention. Even when I was a boy cars were very few in number but one or to people were beginning to convert their wash houses at the back into garages. Even so, it did not occur to town planners that there was any need to build space for cars. 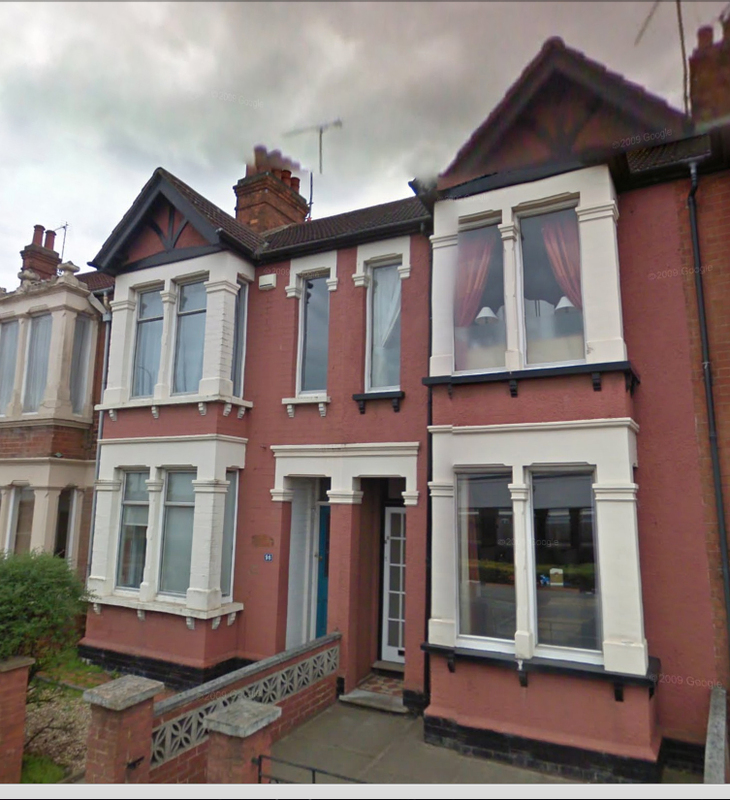 look at Stacey Avenue, Marina Drive and Gloucester Road for example – all built in the 1930s – and now the front gardens have been claimed for the car. 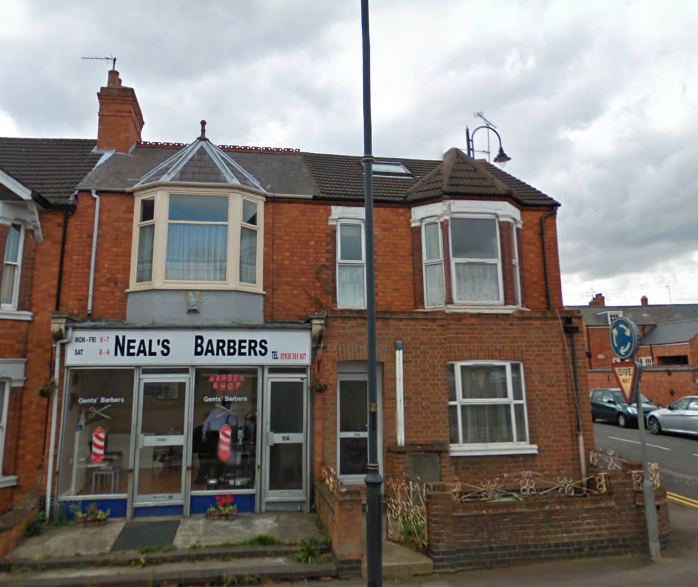 Try to drive down any terraced street in Wolverton and you will immediately understand why this town pre-dated the age of the motor car. Nevertheless, some people were buying cars in the 1930s and they needed to be serviced – probably more frequently than they are today – and garages did emerge. Charles Gabell at 27 Church Street. This had a conventional shop front but the service entrance was at the back. 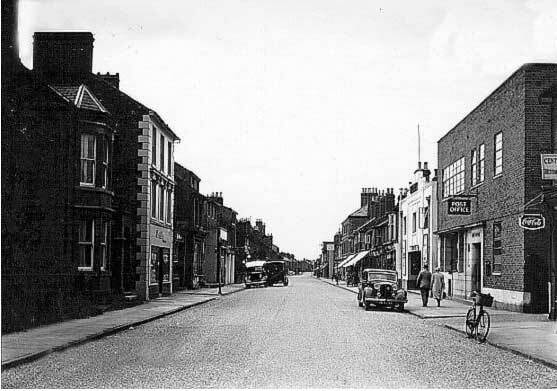 27 Church Street on the left in the middle – Sellicks at this time in the 1950s. 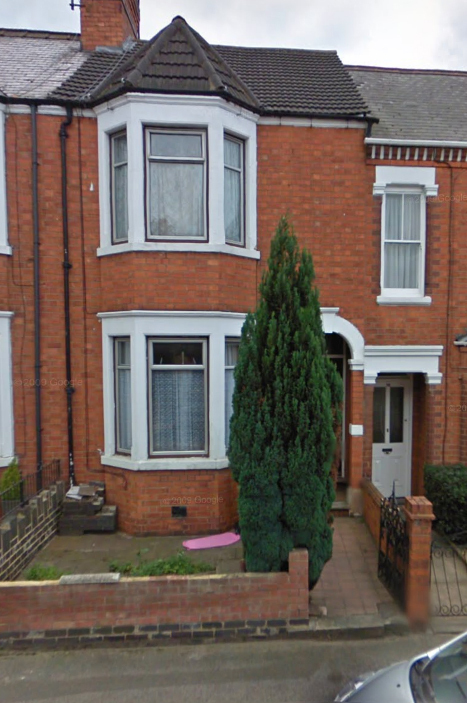 William Applin at 53 Stratford Road. The service garage was in the back alley and utilised the old wash house. R W Pitt at 83 Stratford Road. This was probably the longest lasting of the early service garages and is now a motor cycle dealership. There were two petrol pumps along the Stratford Road – one at the Grafton Cycle Co and the other at 83 Stratford Road – later Pages. 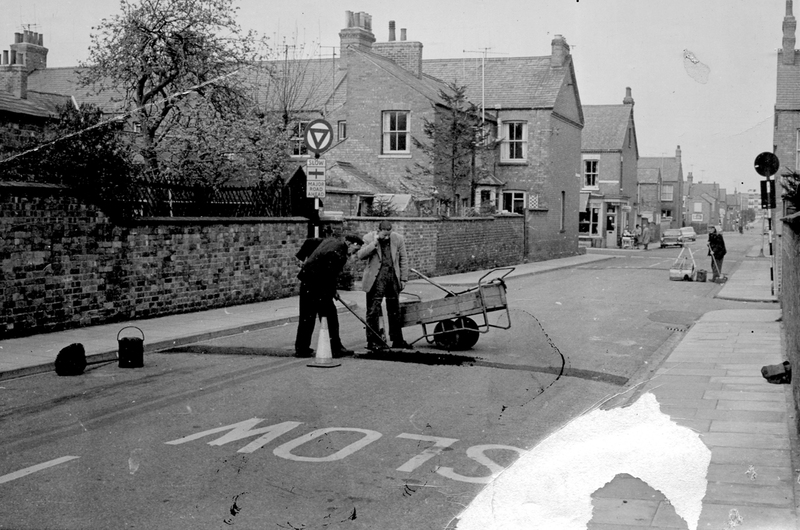 The Grafton pump had the hose on a swing arm so that it could be brought put over the pavement. Pages Garage had the traditional type of pumps on the forecourt. I am not sure about a petrol pump on Church Street. There may have been one but my memory is a bit fuzzy on this. The scarcity of cars on the road was quite normal and there was no need for yellow or even double yellow lines. There is one car beside the Grafton Cycle shop – possibly having just been filled. Petrol tanks were a lot smaller in those days so a few gallons would fill the tank. Up to the end of the 20th Century all development was under the auspices of the LNWR. As we have seen from the start of the Stratford Road in 1860 the LNWR purchased the land from the Radcliffe Trust and opened up some of the building lots to private development, particularly along the Stratford Road and Church Street. After the end of the 19th century the railway company backed away from its paternalistic control and the administration of the town was assumed increasingly by the local council. The Radcliffe Trust, on the advice of their secretary decided to develop the land themselves. 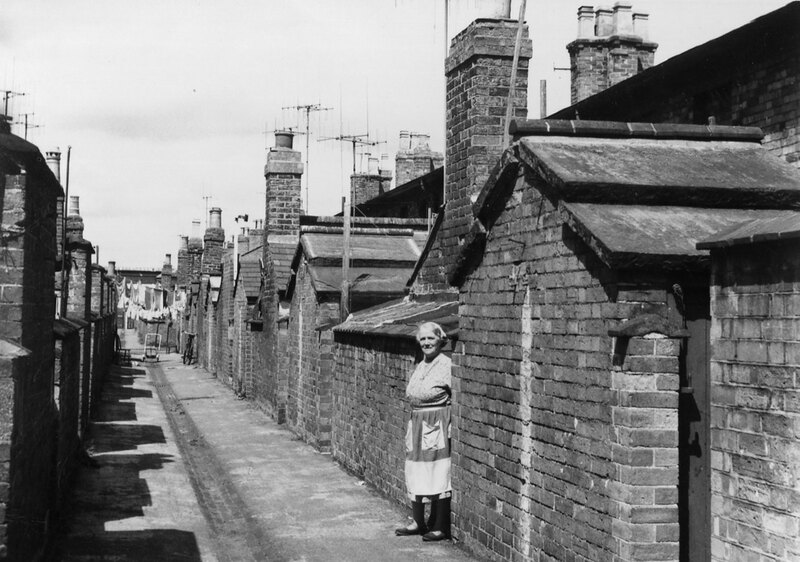 From the western back lane of Windsor Street to Anson Road the Trust opened up new building lots to builders and home-owners. This was built in the first decade of the 20th century. 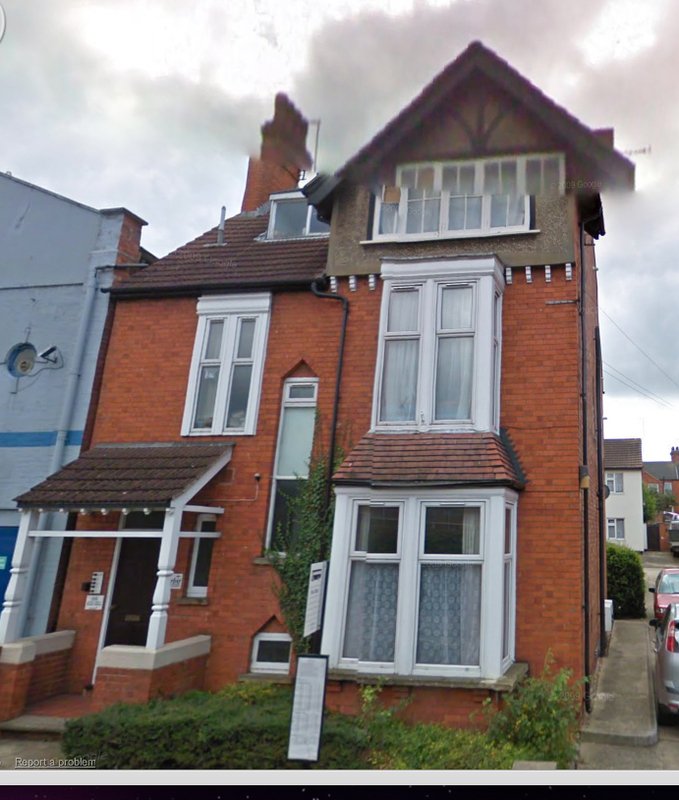 In fact my grandparents, who married in 1908, moved into their new house at the western end of Church Street as it was being finished. The Stratford Road and Church Street retained their names and were extended. The new streets took their names from Radcliffe Trustees: Viscount Peel, the Earl of Jersey, and Sir William Anson. The house and the attached yard was occupied by a builder, first Wilson & Martin, and later a member of the Gurney family, for the first period in its life. Number 68 was used as a dental surgery from 1911 to 1939. 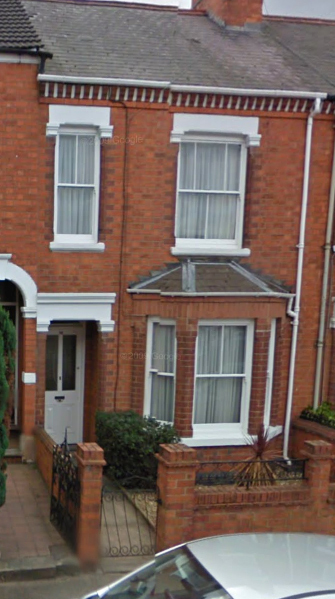 Number 70 was a solicitor’s office for about ten years from 1924-1935. 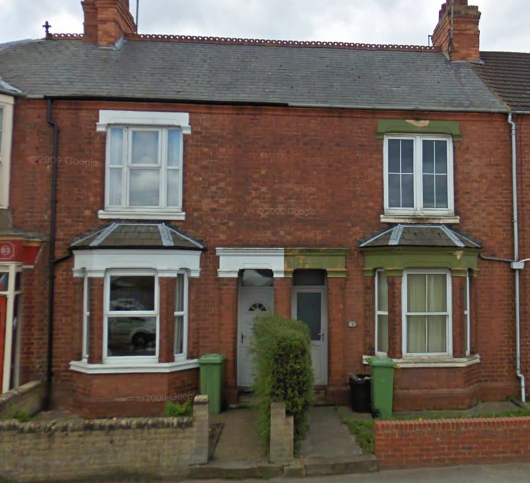 These first six houses, built as a block in the same style reflect the newer styles of the early 20th century, with a sheltered porch and a squared bay window offering extra front room space. You can see these styles in Jersey and Anson Road. 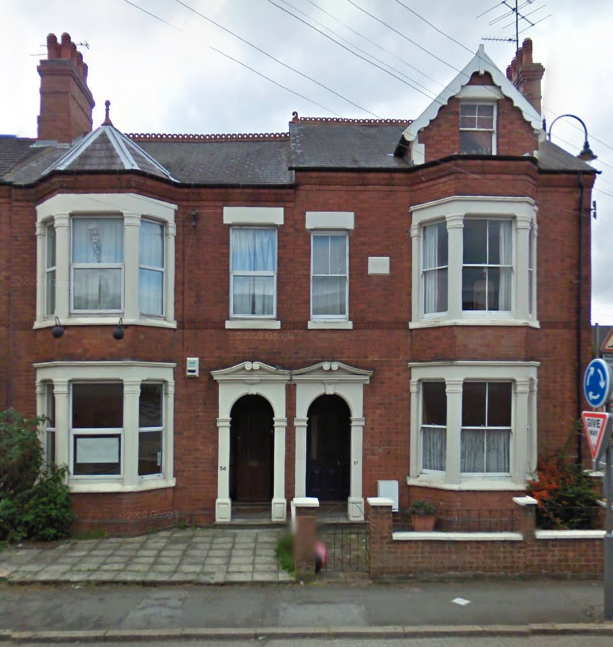 Number 74 has an interesting history in that it was the house an office of the owner of The English Novelty Company, Wooden Toy manufacturers. 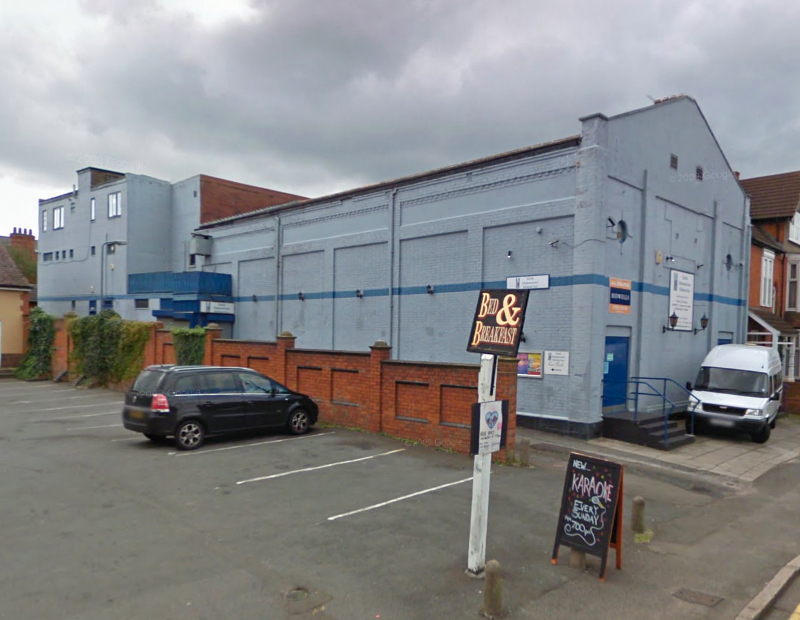 I believe the factory was on Church Street, on the site later occupied by the Empire Cinema. 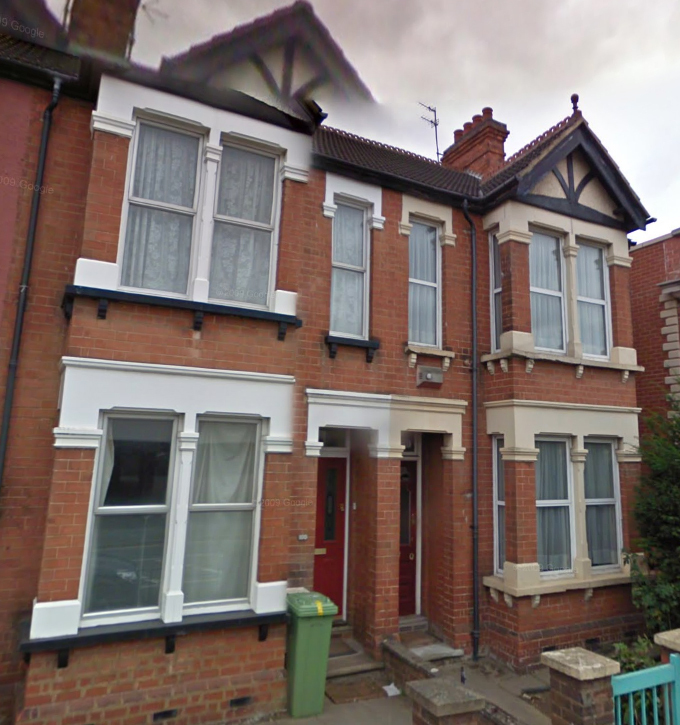 These next three revert to an earlier Victorian style, seen in the 1860 section of the Stratford Road. 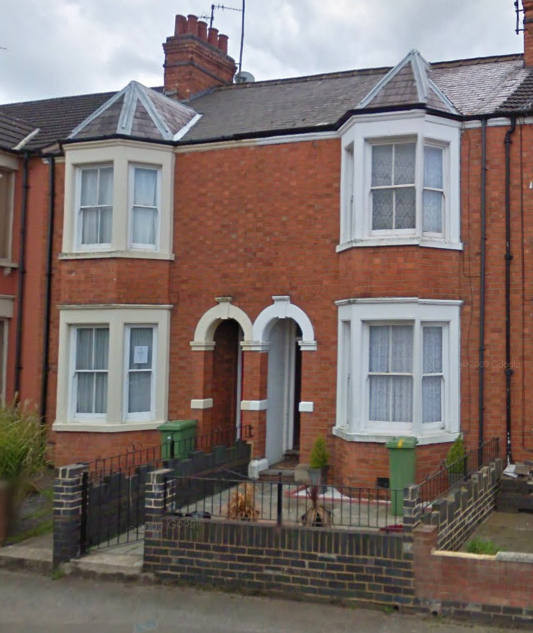 This was originally a house, probably with the same frontage as Number 80, but shows up as a shop in the 1911 directory. In 1924 Joseph Lennon operated as a hairdresser and was succeeded in 1931 by M G Pedley, who practiced his trade as a hairdresser here for well over 30 years. In recent years the shop has become part of the corner shop. It’s interesting that this shop has maintained its identity for all this time. It appears in 1911 under the ownership of Alfred Kilpin, although he is simply described as a shopkeeper. 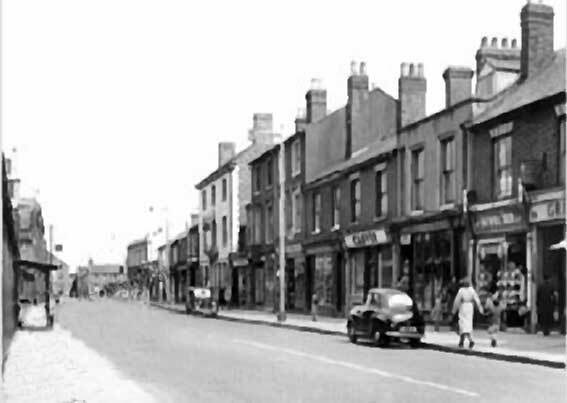 In 1931 Eric Gordon is running a confectionary business here and was succeeded by William Bew in 1939. 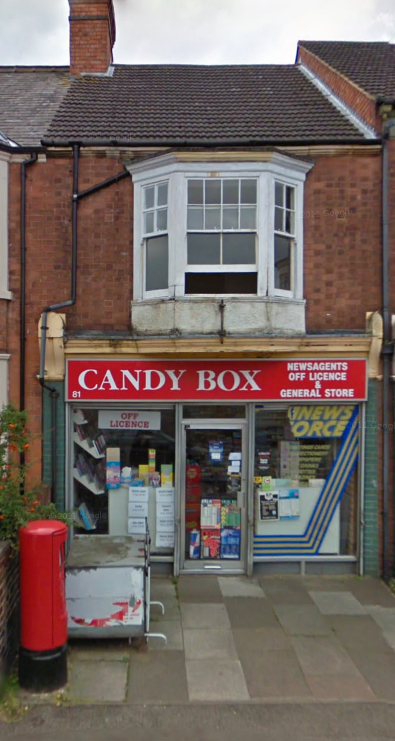 As I remember the shop from the 50s is was purely a sweet shop and one of the few shops allowed to open on Sunday. Obviously the present owners have continued this tradition. 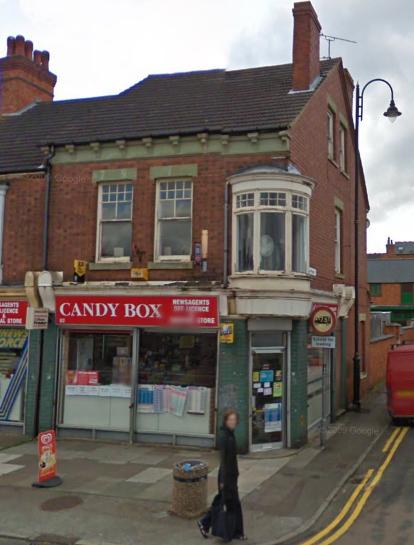 This corner shop began life as a milliner’s, although Mrs. Pitt’s husband acted as an insurance agent from here. It appears that the son, R W Pitt, first set up a garage here in 1931 and it went through a succession of owners – Samuel Lott, Ron Page, Michael Page. The business was in the servicing of cars and selling petrol. Now it is a motorcycle dealership. 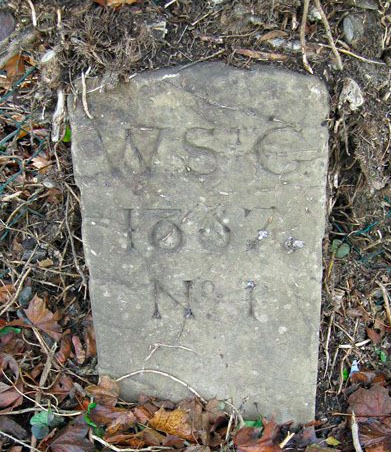 Number 94 was a shop from the beginning – a confectioner, lawrence Long. It went through various owners but essentially remained the same type of business for about 50 years. These ornately presented buildings were once the home of Gurney Brothers, Monumental Masons, and the yard, edged by wrought iron railings was filled with graveyard monuments. I think the business went through two or possibly three generations. 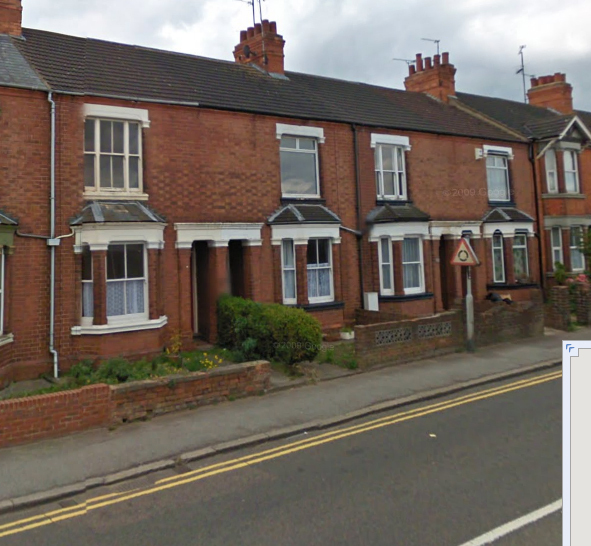 In 101 houses we have been able to follow the development of Wolverton from 1841. 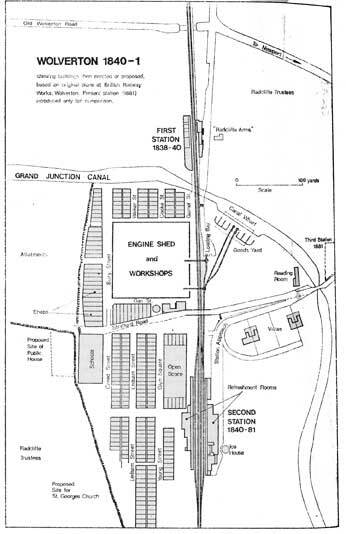 In 1841 The Royal Engineer was the western outpost of the new town. In 1860 a largish tract of land was opened which extended Wolverton to the back alley of Cambridge Street. The next phase began in the 1890s and extended to Windsor Street. The last redbrick phase began in 1907 when the Radcliffe Trustees opened more land for development up to what is now 101 Stratford Road. In very recent times the McCorquodale building has been converted to residential development and further houses have been built to the weds. On Monday 18th December 1911, Barber’s Electric Picture Palace opened for business with a French silent film called Zigomar. I don’t know anything about the film but I am sure the first audience found it very exciting. In those days the films were very short, initially “one-reel” films and the “two reel films”. In between films, or changing reels, the Palace used to offer live variety acts. The pianist accompanying the films was Oliver Thorneycroft. The Palace could seat up to 650 and in the days before television was a great success. Even in the 1950s I can remember the house being packed for Rock Around the Clock with Bill Haley and the Comets, but shortly after that audiences fell sharply and the cinema closed on January 22nd 1961 – a fifty year life. Since that time it has been a bingo hall, a dance hall, a night club and a church. The front used to have a canopy over the forecourt area. I don’t know when that disappeared. 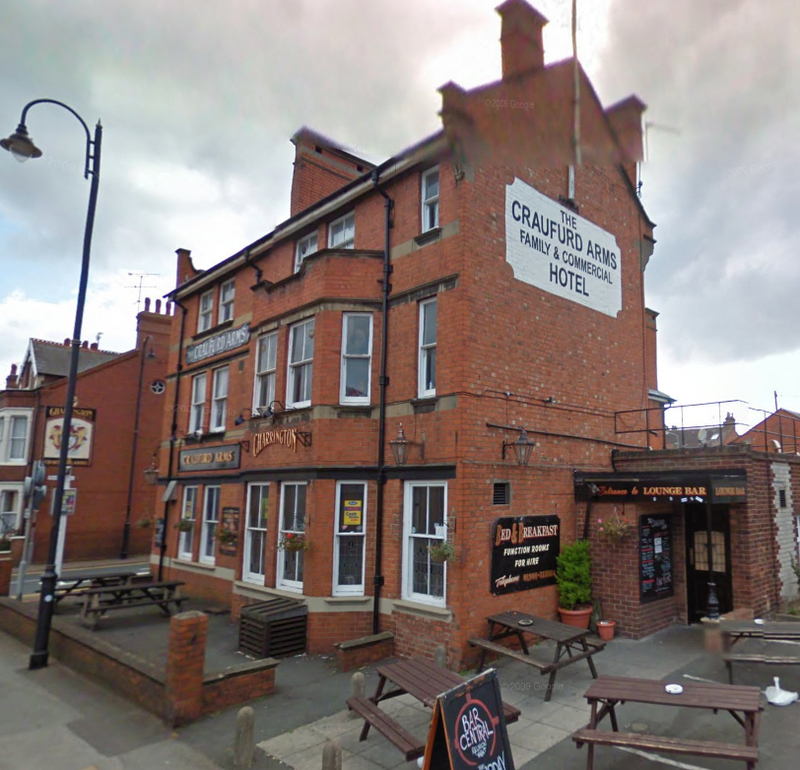 The Craufurd Arms has a curious history. It was built by an organization known as The People’s Refreshment Association, founded by the Bishop of Chester and one Colonel Craufurd, after whom this house was named. The motivation behind the PRA was to encourage teetolalism but theey took a more enlightened and liberal approach. Rather than strict bans they built hotels such as this which would serve alcohol but also provide non-alcoholic beverages nd food. They hoped thereby to wean drinkers off their alcoholic habit. 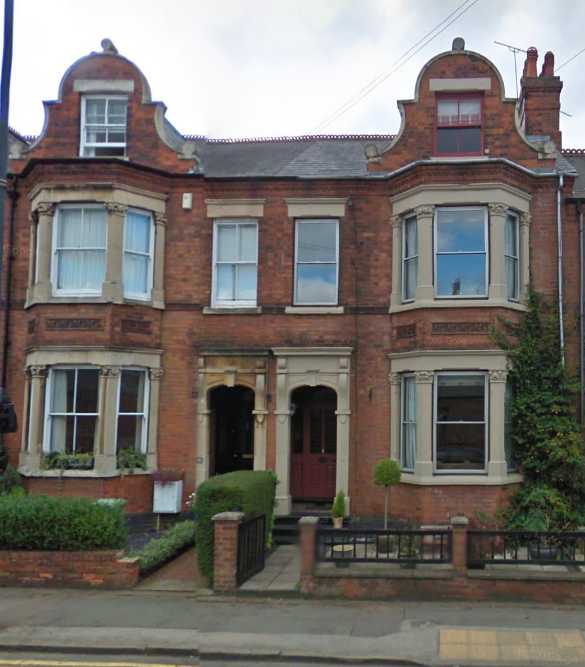 Their original intention apparently was to built their house on Green lane, but this met with objections from the owner of the Victoria Hotel Tarry, who had designs of his own on a Green Lane site. Applications were made in 1903 and 1905 and both were unsuccessful. 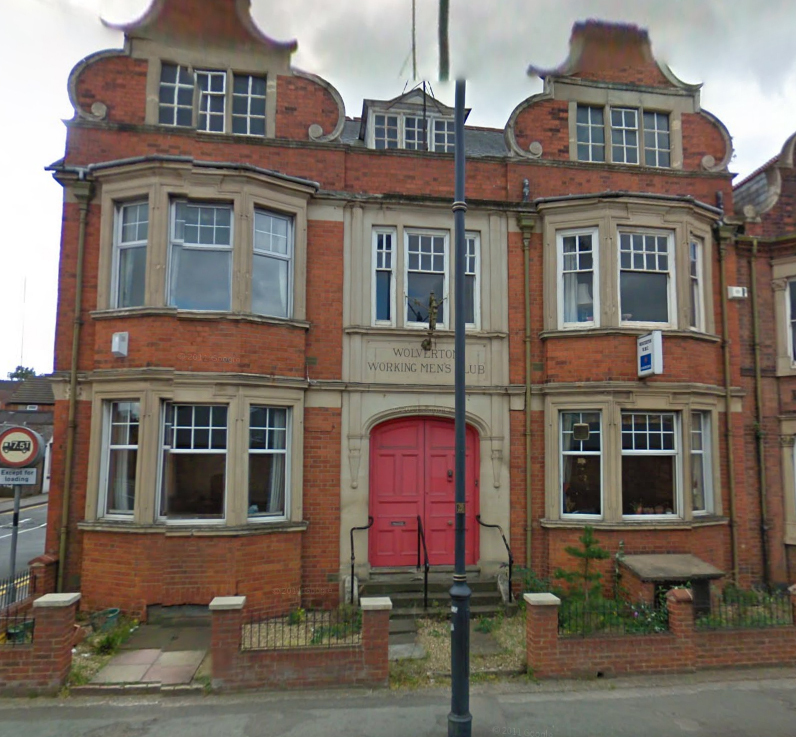 However a deal was struck whereby Tarry was allowed to go ahead with his Green Lane development and the PRA were given a licence for the new premises, now to be located on the Stratford Road. The licence was approved in 1906 and the Craufurd Arms opened in 1907. 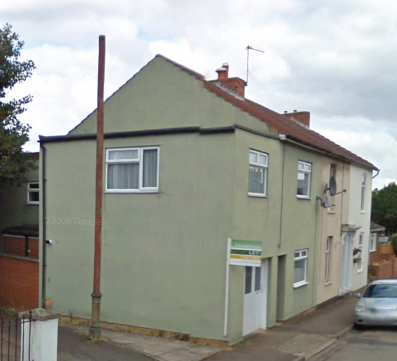 So with the building of the Craufurd Arms Wolverton’s development moves into the 20th century. It was at this time that the Radcliffe Trust, bowing to the inevitable, decided to open up more land for development. This time, however, they decided to do the develoment themselves rather than sell the land to the railway company. Windsor Street marks the end of LNWR development of housing. 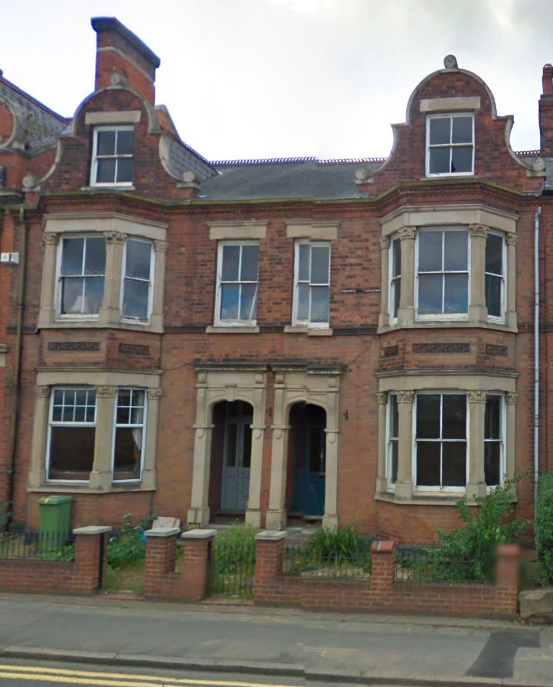 A block of land had already been taken at the back of Windsor Street for the Boys School in 1896 and the Girls School was added on Aylesbury Street in 1906. In the first decade of the 20th century Wolverton entered a new building phase. 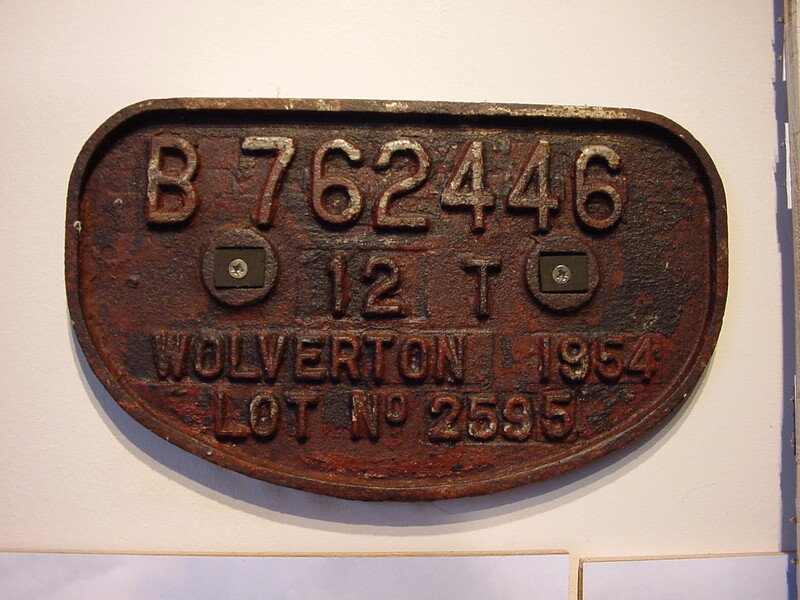 This photo has been sent to me by Martin Mellon of a wagon plate collected by his father. Does anyone know anything about this? Obviously the date and place are a giveaway but does anyone know what the numbers mean? Not having worked behind the wall I have no idea where or how these plates were made. I assume that these were individually cast in sand with the numbers changed in sequence. Working Men’s Clubs were a product of the industrial age. Most large towns and cities had founded clubs in the 19th century and it is no surprise that Wolverton and New Bradwell followed the trend. 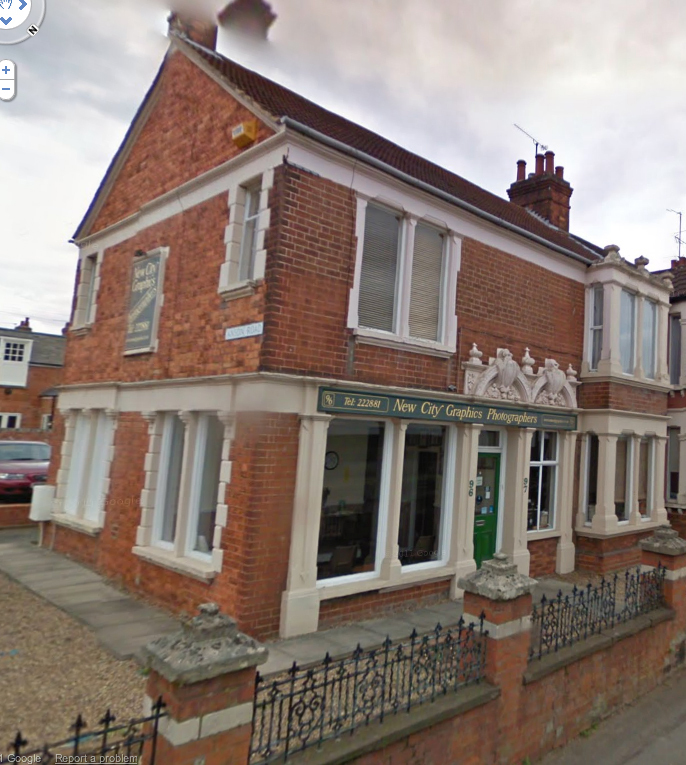 The first Working Men’s Social Club was an adapted house at 72 Church Street, founded in 1872. Less than 30 years later the club was able to afford this imposing building on a new lot at the bottom of Cambridge Street. It opened in 1898. The style is quite ornate and continues with the next four houses which are also decorated with a mixture of stone and red tile. I imagine that the attic rooms, which are quite spacious, were originally designed to accommodate the club steward and his family. The club did expand into Number 50 in the 20th century as well as build extensions at the back. 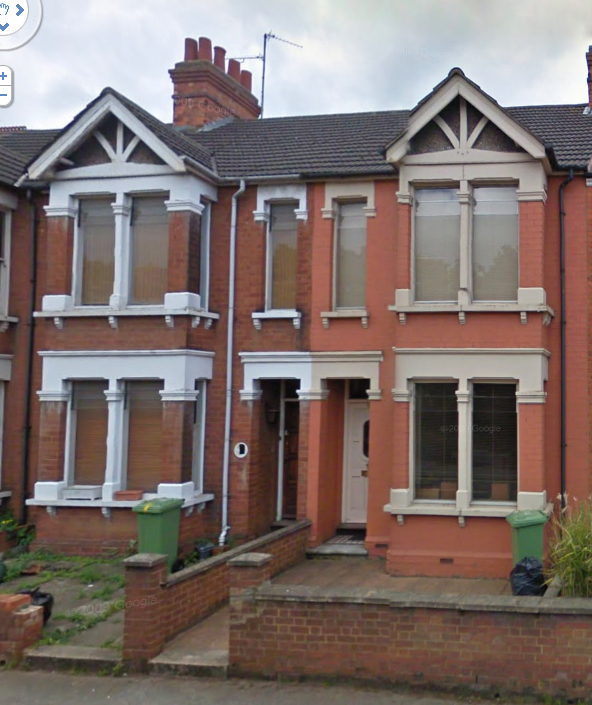 These four houses are quite spacious. I know because my grandparents owned one of them. they followed the conventional terraced house plan of three rooms downstairs with a scullery and three bedrooms and a box room above the entrance hall with a bathroom and w. c. Except these terraces were so much wider and larger – perhaps only a few feet, but that made the difference. the entrance hall was wider, the rooms were a foot or two wider. And at the back of the scullery was a pantry, which was later converted into a bathroom. These houses also had a large wash house at the bottom of the garden. When the motor age came along these were converted into garages. Mostly these houses were residential and most households had a domestic servant in the early years of the 20th century. 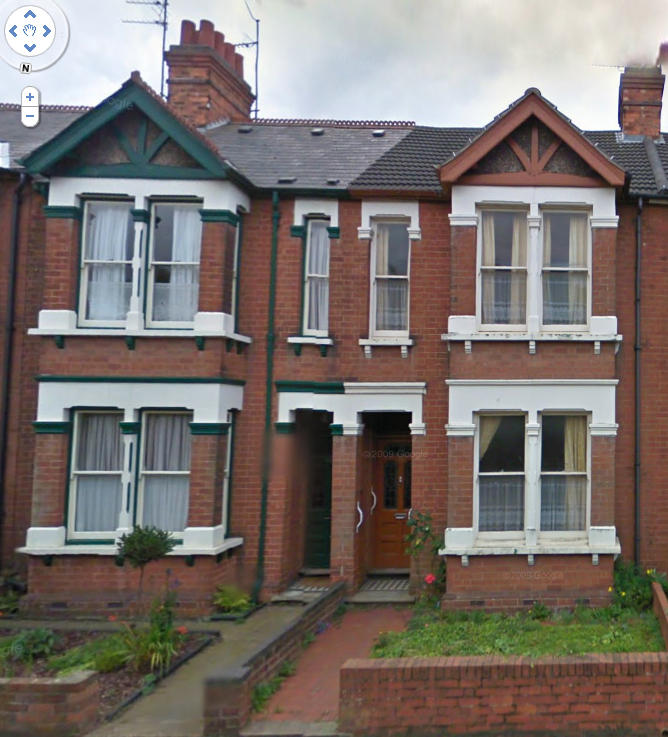 I presume the servant lived in the attic room. 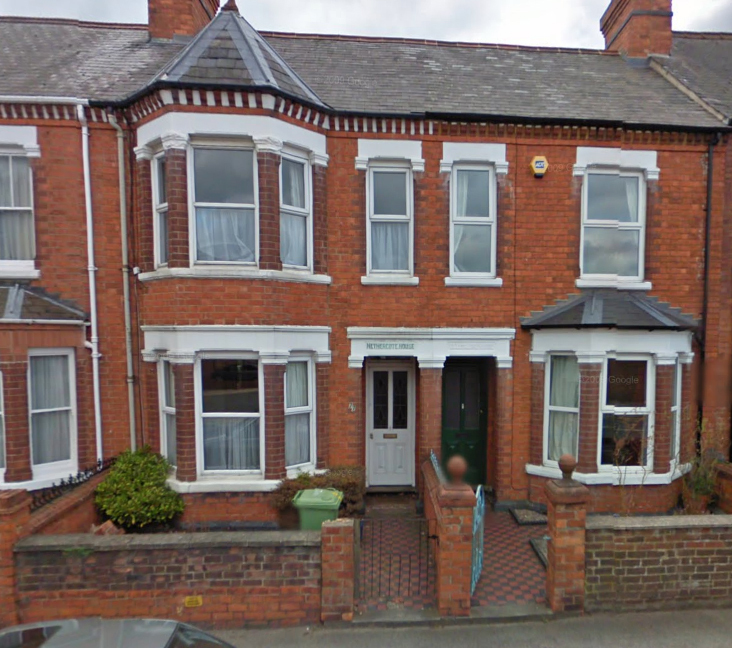 It’s a pity about the frontage. While it was a shop window it was not out of place, but the bricking up of the window and the insertion of a window which is completely out of proportion rather destroys the appearance in my opinion. 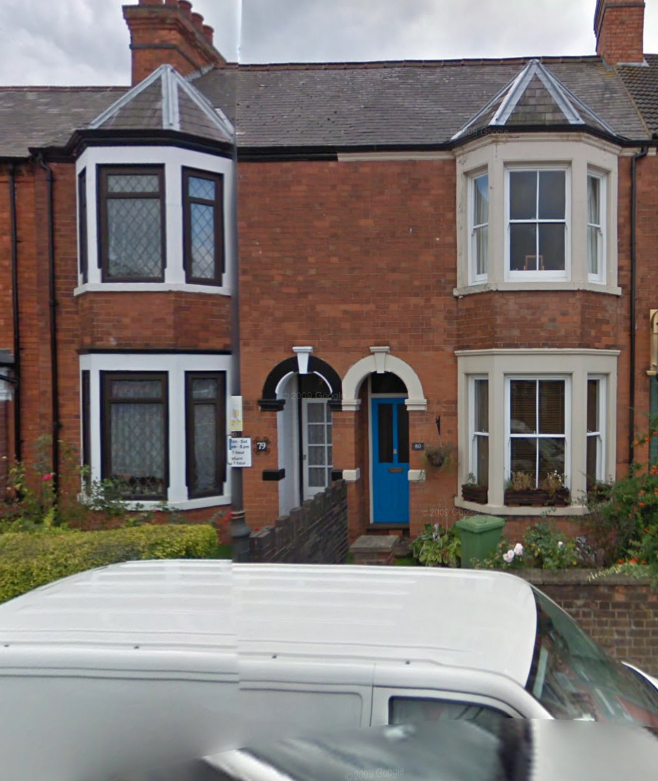 It would have looked better if the lower bay window and the porch had been retored. 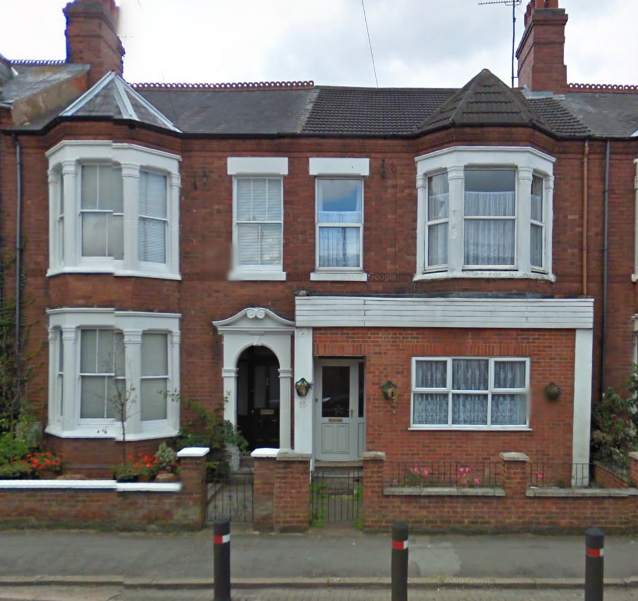 The final two houses in this block became dental surgeries for much of the 20th century. 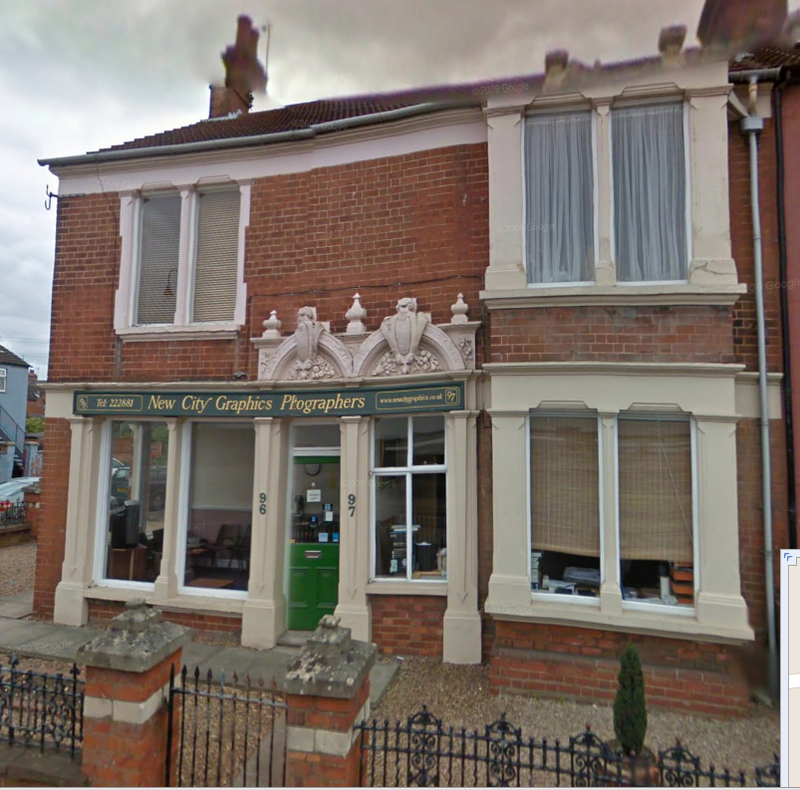 Sidney Warden had a practice at Number 56 from the early 1920s and next door George Weller established himself in 1911. Both men worked their until their retirement in the 1950s when the practice was sold on.